Should I Pay My Red Light Camera Ticket? No. And Here's Why. 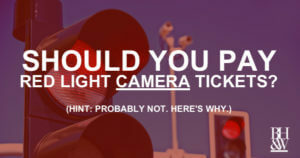 Home » NEWS » Should I Pay My Red Light Camera Ticket?